3 days I've been at this one and I'm still not happy with it. Still, it'll have to do. 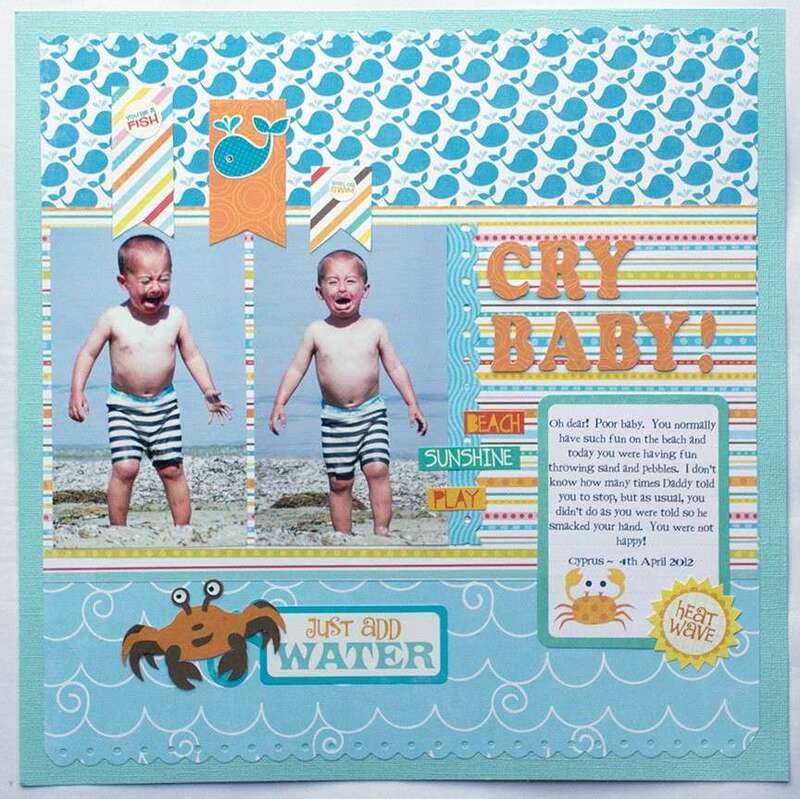 Looks fine to me, well apart from that its a crying child.... not your normal style though and certainly not the normal papers. I still like it though. I think it's the unhappy photos rather than anything else lol. Lovely seaside papers. Nowt to not like about that! Great stuff. Aww, bless him. Lovely LO. Aw poor wee lad, LO is nice and bright. I love it, aww but tough luck sunny jim!